Susanna Leonard Hill: Oh Susanna - How To Cope With Critique Group Feedback? Oh Susanna - How To Cope With Critique Group Feedback? Happy Monday, Everyone! It's an Oh Susanna day! But first, I'd like to give you a teensy report on the Reach Out And Read Event I did last week. Reach Out And Read is a terrific program that seeks to put books in the homes and hands of children who would otherwise not own a book, and to educate their parents on the importance of reading to children. We had a great crowd at the Ossining Open Door Clinic for the event. So many eager listeners gathered on the rug to hear Can't Sleep Without Sheep and Punxsutawney Phyllis. 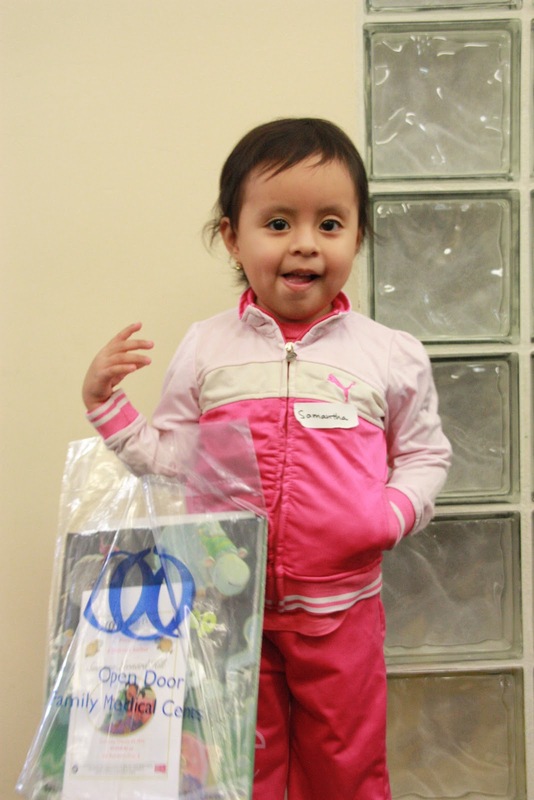 All of them went home with books of their very own, thanks to donations from you and others. We had so many books that families who brought 3 or 4 children were able to get a different book for every child and go home with several titles. It was truly a wonderful day. Thanks so very much to all of you who donated books! And now, today's Oh Susanna question comes to us from Eric. He says, "I love my writer’s critique group that meets each month. They offer great feedback — LOTS of feedback. But, I am often overwhelmed when I get home. Do you have tips or tricks to managing feedback to use it effectively to improve your work?" Whenever you hand over your beloved work - product of your blood sweat and tears - even though you know logically that it probably isn't perfect, you secretly hope that your critique readers will come back with comments like, "This is the absolute best thing I ever read! You're a genius! Submit it immediately!" So when you get the logically expected feedback, your writerly defenses automatically go up. No matter how mature and professional you are, you can't help it. Nor should you. You worked hard on this! You need a little time to let the comments sink in before you can fairly evaluate them. So my advice is this: don't decide anything right away. Part of that overwhelmed feeling is the natural result of having your hard work picked apart - it has more to do with emotion than technique. So take all that feedback home. And the next day, or the day after, take it out. Read it over. Think it over. Let it simmer. Then, when the writerly defenses have lowered their swords and you're in a place where you can realistically evaluate the feedback, go through your ms one page at a time and see what you agree with and what you don't. I find it easiest to start with things that I agree with and/or are very easily fixable - like typos :) This way you don't have to start by making concessions in your work. If you fix the easy things first, it's a little less difficult to tackle the harder stuff. You can also organize your critiquers' comments into categories and approach your revision one topic at a time - overall plot, character development, dialogue, language use etc. - and make your revisions accordingly. Were there things that ALL your critique members agreed on? Those things should be tackled early on as they have the most likelihood of really being things that should be addressed. Other things that were only mentioned by one person, you as author have to evaluate in terms of your story intent - does your critiquer have a valid point, or did they miss the point? And if they missed the point, was that the fault of your writing and can you fix that? Obviously, the longer the work, the more extensive and complicated the feedback may be - it's going to be very different for a YA novel than for a picture book. But the basic approach remains the same: let it simmer, tackle the easy stuff first, then go through by page or category and tackle the harder stuff. And if there are things you feel strongly should be left alone, well, you're the author! I hope that at least partially answers your question, Eric. If you have follow-up questions, or more specifics, add them in the comments and we'll all try to help. And now, I hope some of our devoted readers who also deal with critique group feedback will chime in with their advice on how to handle it - how do you make the best use of your feedback, and how do you keep from feeling overwhelmed? What lovely, lovely photos of the Reach out and Read event, and what a worthwhile program. It looks like you all had a splendid time! I petty much do what you have suggested with critique. I have two critique groups and a critique partner, so I always find it amusing when I get completely contradictory advice.... such critique I often have to sit on quite a time before deciding what to do! Looks wonderful Susanna. Look at all those smiley faces. So happy for you! Great ? EriK. And as for critiques--I think letting it simmer is great advice. Then you can decide what to use, because you don't have to use it all! I know - the kids were just precious, and the photographer was terrific. And you're right - you don't have to use everything your critiques tell you - after all, everything is subjective! Look at all those sweet, sparkly faces. Yay you!!!!!!!!! You are right on with your answer, Sus. I do the same thing. The stuff I agree with I usually change right away though. The the rest I ponder. And let it percolate. How exciting for children to have books. Their sweet little faces show such happiness. Good critique advice. I've been in my wonderful group a little over a year and am slowly learning all the things you talked about. I try to let it rest unless a revision is glaring and unemotional. I taught elementary Physical Education for years and one of the hardest things to get across was how important the delivery of the pass is! I would hear complaints about the one catching..."He/she didn't catch my pass. I threw it right to them." so I try to think of it in those terms .... If they didn't catch it, there's usually a good reason. The basis of a good pass starts with delivery....same with the basis of a good story....delivery that will be caught by all readers. In our mind we are passing it along perfectly, but with several members in a critique group we get a true picture of how effective our delivery is. It really helps me to hear from all the published folks that they still have critique partners/groups. I used to think once you learned how to write one story that was worthy of being published that you had the skill....just write and submit and volià....published! Oh Susanna, thanks for this great post. I have just become involved in my first critique group, although I've had other critiques (the most valuable have been from a freelance editor). This is so helpful! Thank you, Susanna, and thanks to Eric for submitting the question. You're welcome - glad if it was at all helpful. I hope once you've had a chance to be more involved with a critique group you'll come back and share any tips you have! Susanna, I loved the pictures of the kids at th reading day. Looked like everyone had a lot of fun! Thanks for asking the question Erik. Agree with your response Susanna. It can be overwleming, especially if you have someone who is dominant. Think it's great exposure for you, but ultimately it is your MS and you will know what feels right or not. I like having a critique partner I trust. And, like Beth I have found the services of a professional freeland editor most helpful when I feel I've polished as much as I can. And your advice on crit work is good. I grew thick skin pretty quick, but sometimes things still get me down. It can be frustrating. I like the system you've mentioned. That is mostly what I do - and it makes a lot of sense. So glad you shared. Sorry, these kinds of posts bring tears to my eyes...kids going home with their very first books. I have so much admiration for all the kidlit authors I've met. Everyone is so giving. Thanks for supporting such a great organization. It's so great that each kid got a book! I think most times people say things that really help but sometimes it may not come out right. Sometimes I get tired of "fixing" things but I see how it gets better. This was a great question and a great answer! Wonderful that the kids all got books! I LOVE the photo of the boy watching you sign the book. I'm enjoying the Oh Susanna questions and answers. Critique feedback is invaluable. I like your tips on how to tackle the feedback. I went through a critique training with a group and enjoyed this process, but the group didn't gel. Turns out one person in the group wasn't ready to be in a critique group — didn't follow basic format instructions and became defensive at feedback. Respecting your critique partner's time is key to making the group work. What a lovely cause! It must be so gratifying seeing those kids with your books! And thanks for the great advice on acting on critique. I know, Leigh. It was magical. They couldn't believe that they got to take brand new books home to keep. Glad you agree with the critique comments - it lends credence to them that a lot of people seem to feel the same way. Thanks! It really was great, Erik. You and I are lucky - we come from homes where reading is valued and we can afford books, or at least trips to the library. It's not something to be taken for granted - so many kid don't have that. I love that you picked out that photo, Stacy. He was so fascinated. His head was right against mine so he could see everything I was doing :) You make an excellent point about respecting critique partners' time - so true! I would have been happy to see them with any books - that they were mine was icing on the cake :) Glad if the critique comments were helpful! Oh Susanna! Thanks for answering my question. Your response was very helpful. I like the idea of not deciding anything right away. I think I might take notes the next time to allow me to reflect upon the suggestions at a later time. Focusing on writing things down may keep my head from spinning! What a satisfying day! Reach Out and Read is a great organization. Those kiddos sure look happy! Great question, Eric and Oh Susanna your answer is right on. What adorable kiddos! What a great feeling to watch them light up over your books. Congrats! Adorable photos! What a wonderful day that must have been. If 2 or more critiquers agree, I swallow pride and think about how I can implement their suggestion in a way that works for me. If just 1 makes a suggestion, I talk it out with myself to see if it makes sense to me or not. *I love those pictures! Thanks for sharing and brightening my day! Being a part of a critique group is invaluable! It also can be confusing at times when you get conflicting advice on what doesn't work. I think ultimately you need to remember that it is YOUR story. Some writers who are new to the critique process mistakenly think they need to change everything that has been pointed out. Experience will teach you what needs fixing and what to leave alone. Above all, keep an open mind and be a gracious critiquer and/or critiquee. So glad you enjoyed the pics, and thanks so much for your comments on critique groups - very helpful! Thanks for sharing all those lovely kiddo photos. They are truly precious. Thanks also for sharing the results of the clinic. congrats on a successful day. The tips on how to let the crit simmer are valid. Many times after waiting and letting the ms rest then you know what changes to make. good tips,Susanna. Oh my goodness. FABULOUS advice! Yeah, I think we all just hope for the "This is the most brilliant thing ever!" comments, but that's what mothers are for. ;) CPs, no matter how much info they give us, are the best. Glad you enjoyed the post, Clar, and glad you agree about the critique comments! What a fun event! And so awesome for the kids. I just love seeing kids with a new book. And great advice! I love the idea of categorizing the critiques out. Working on each one separately. MUCH more manageable that way! Great advice, Susanna! I don't work with a critique group, but I do have a critique partner who gives fabulous, helpful feedback and even some tough love. I usually agree with her, and then just let it simmer for quite some time before trying to implement it. Do you ever get such good feedback that you're like "Could you just write the story for me?" Ha! So glad if it was helpful, Janet. And it was amazing to see those little faces light up when they understood they could take the books home and keep them - such a great day!